While everyone was tracking the arrival of Buju Banton’s plane, an important economic indicator was released by the Bank of Jamaica – the Net International Reserve number. As at the end November 2018, reserves stood at US$2.899 Billion. While that number is still significant, it represents the fourth consecutive decline in reserves. That is the first time this has happened since the period October 2014 – January 2015, when the reserves were about US$1 Billion less. The NIR retreated by 0.9% as compared to last month, while being 7% smaller than at the same time last year. 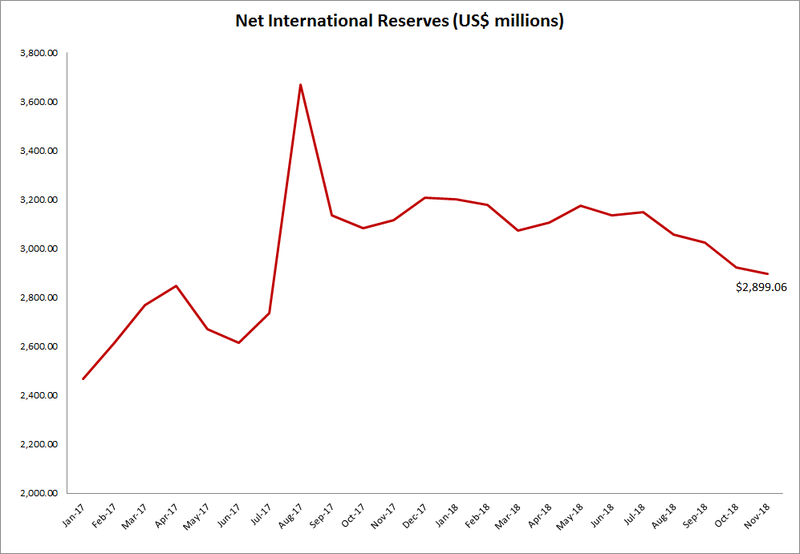 Jamaica is still much better than two years ago, however, having 13% more reserves. So far for the calendar year 2018, the NIR has lost 9% of its value. Follow diGJamaica’s economic indicators for weekly and monthly updates as they occur.